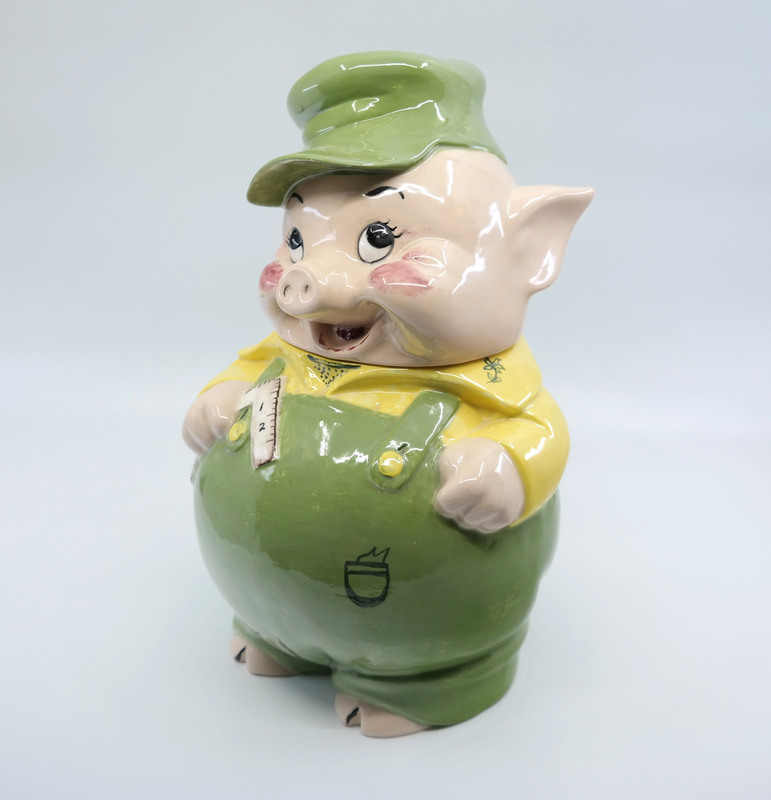 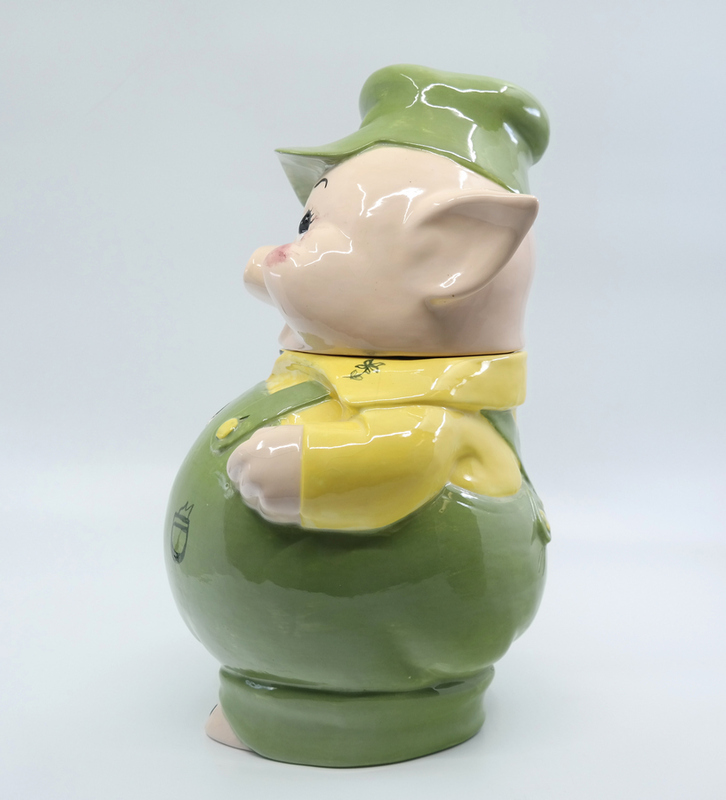 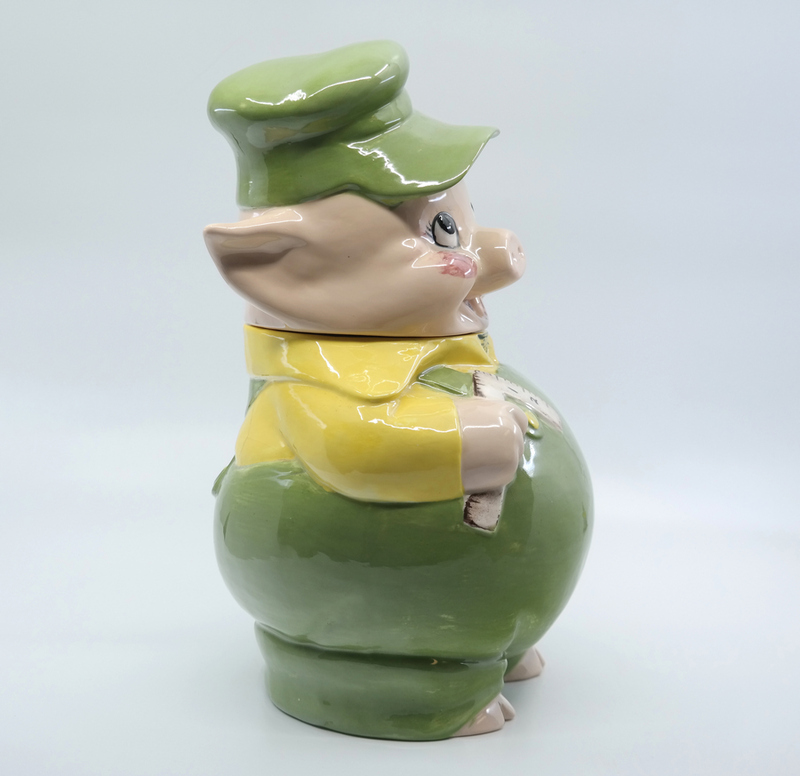 This is a vintage ceramic cookie jar depicting Practical Pig from the Walt Disney Three Little Pigs animated shorts. 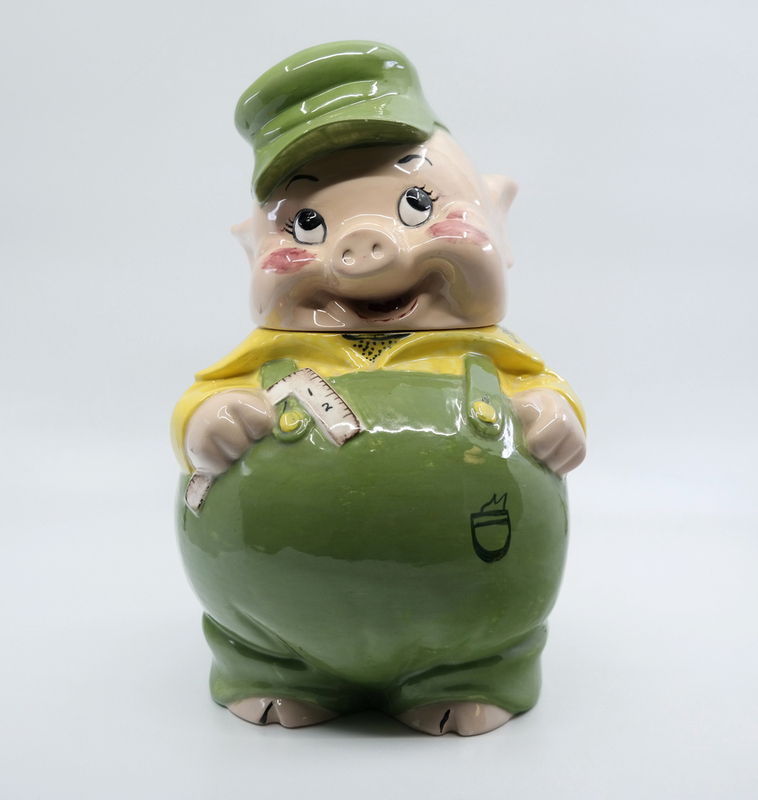 This jar was original designed by Don Winton for Hagen Renaker in the 1950s, but not all of the bisque pots were actually painted by the Hagen Renaker studio. 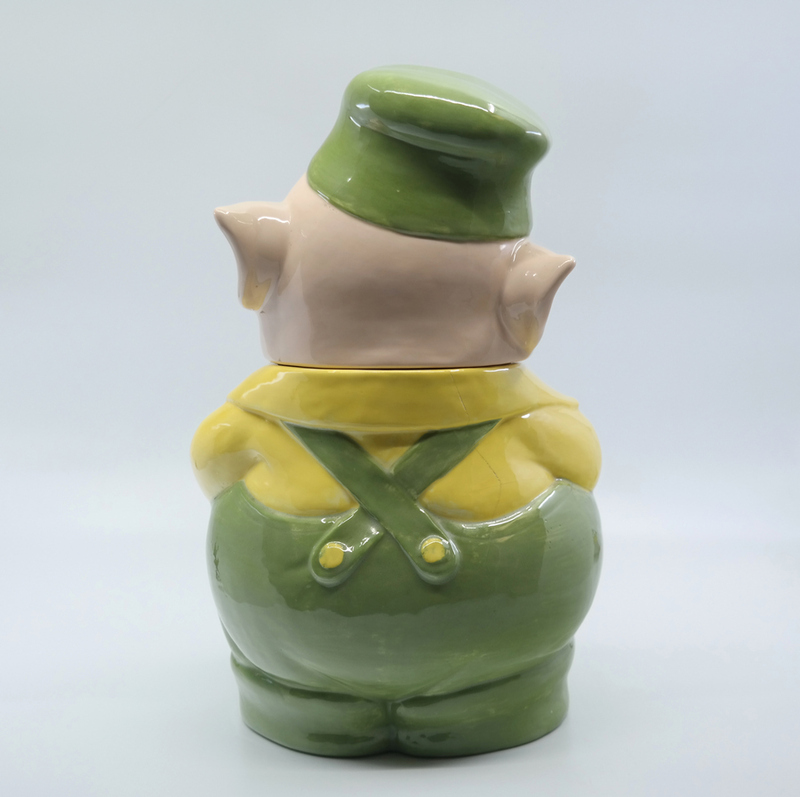 This particular jar features a great color combination and is in good condition with a 2 inch crack on upper right back. 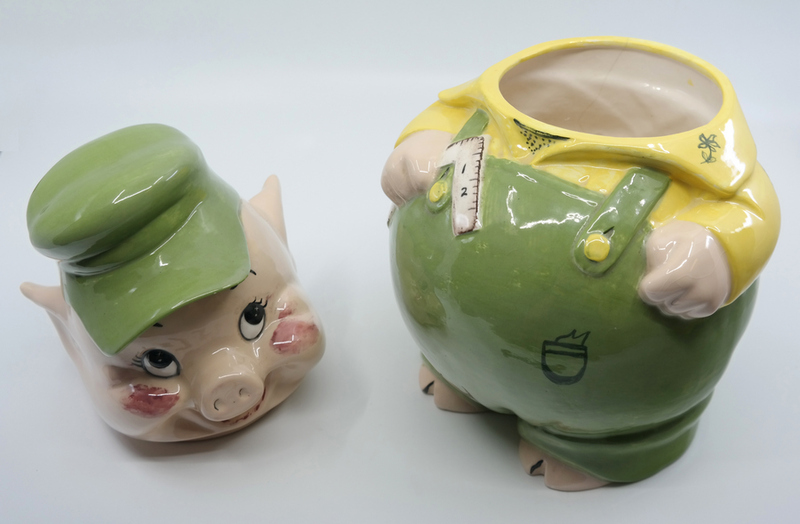 This jar measures 12" x 7.5" x 7.5" and is one of the harder to find cookie jars.